This vintage mackinaw coat was made in the 1920s by the TW Stevenson Mfg. Co of Minneapolis. 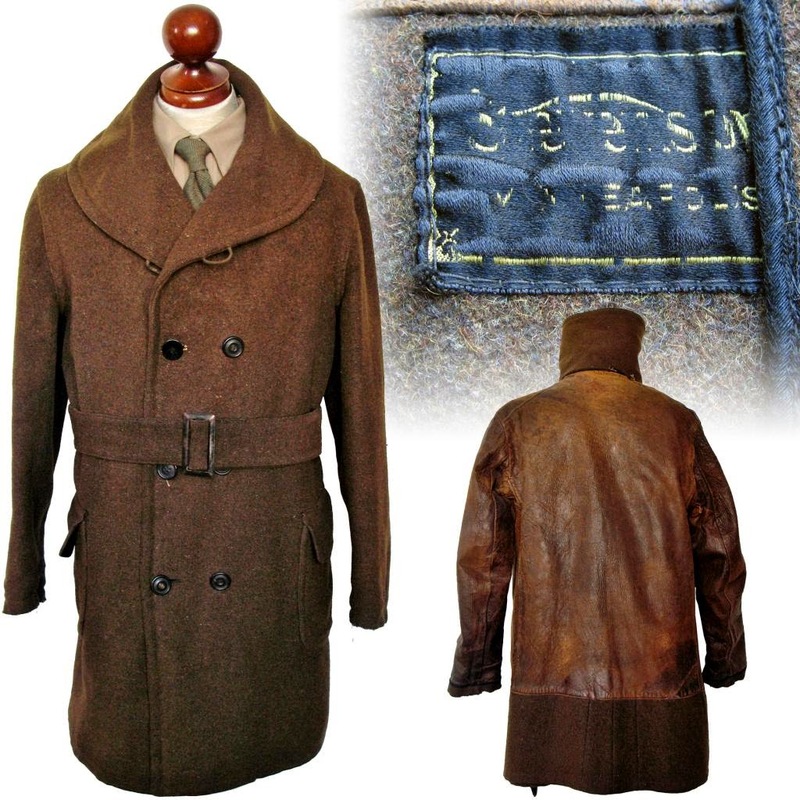 Stevenson was a producer of mackinaw coats and leather jackets from the late 1800s through the 1930s. The company was headquartered at 416 N. 1st Avenue, Minneapolis, Minnesota. This coat is an early-style shawl collared mackinaw. It is double breasted, belted, with patch pockets and is constructed from heavy brown mackinaw wool. The coat is fully leather lined, body and sleeves. Such leather linings were popular in the 1910s-1920s as a windproof layer in outdoor / workwear coats. 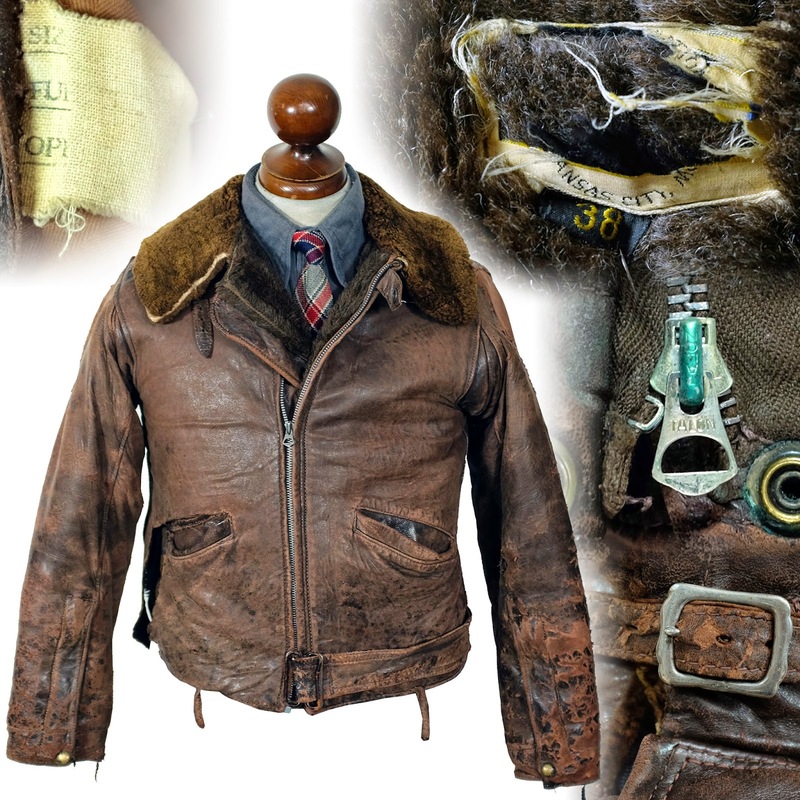 Starting in the late 1920s, leather became a more a more popular material for coat exteriors, and the popularity of the position wool and leather switched. The coat has the name Walter Sternitzke written in the lining, though the coat was probably originally purchased by his father, Reinhold Sternizke, a farmer from the town of Aitkin, Minnesota.